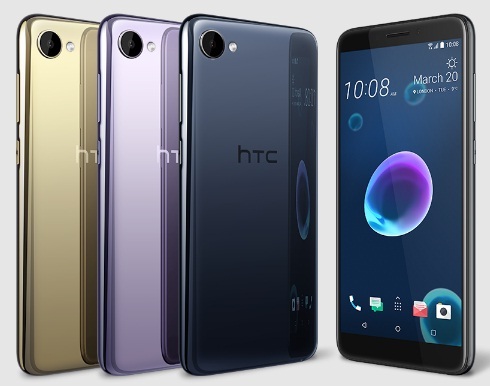 HTC has recently released two smartphones in the nation, one is HTC Desire 12 and the other one is Desire 12 Plus phones with different features and dimensions. HTC Desire 12 smartphone comes with a 5.5-inch (diagonal) screen whereas HTC Desire 12+ phone comes with a 6-inch (diagonal) screen. If you are looking for other key features, technical specifications and prices of HTC Desire 12 smartphone then you would find them over here. You may also find HTC Desire 12 plus smartphone detail, soon. The phone is powered by MediaTek™ MT6739, Quad-core processor and coupled with 3GB of RAM. The phone runs with Android Oreo and HTC Sense operating system. HTC Desire 12 smartphone comes with 32GB internal storage which can be further expandable up to 2TB via microSD card. The resolution of the phone is of 720 x 1440 pixels. The 13 megapixel rear camera of HTC Desire 12 smartphone will give the best photo or video result either it is a night or day mode. Clear portraits in any environment as well. This could be one of the best smartphones or best selling smartphone. You may find HTC Desire 12 specs and price detail below. Tips: The brand HTC has released few finest smartphones and this also has potential features to enjoy in an affordable price.